Black Mirror is a futuristic anthology TV series originated in Britain that acts as a platform depicting the moral and societal conflicts that technological advancements produce. Black Mirror impressively addresses these prominent social issues that are a byproduct of technological advancement in a way that is not only highly entertaining, but also causes the viewer to reflect on their own life regarding their technological practices and media ideologies. While the series contains four seasons, each episode expresses its own sense of individuality through the use of unique concepts, realism, and relatability. 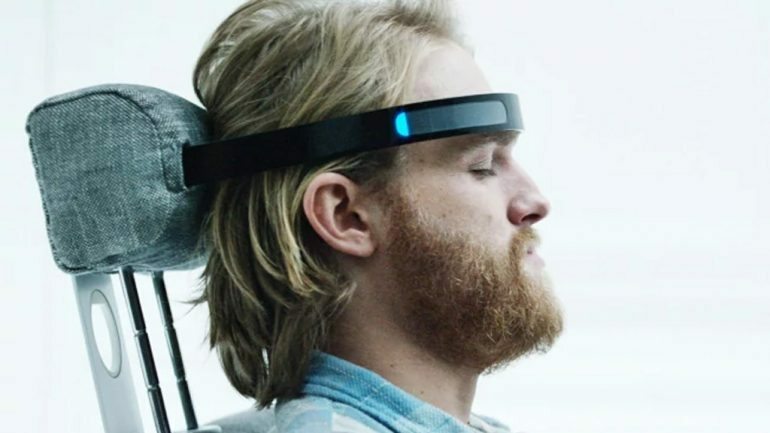 Black Mirror is a considerably dark television series, as there is a linear theme of emphasizing the negative yet often disregarded aspects regarding technology’s role as a catalyst that exacerbates detrimental influences accompanied with its widespread use. Black Mirror is critically acclaimed as it has won a multitude of awards, most impressively being three Emmys in 2017 alone. 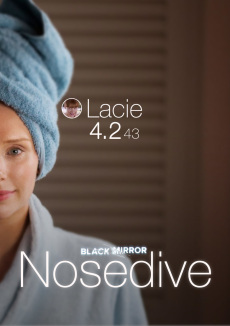 Nosedive, potentially one of the most pseudo-realistic episodes, focuses on a young woman named Lacie in the not-too-distant future and her technology-induced enslavement spurred by society’s ever increasing importance placed on social media. In Lacie’s world, everyone has a rating: that is, a score (out of 5 stars) that everyone can see, completely contingent on other people’s opinion of you. Everyone has a phone, which has the ability to influence other people’s rating, creating a superficial society forcing everyone to be social actors, in order to maintain their rating, which is reciprocally their social status. Nosedive serves as a tangible canvas illustrating the philosophical conflicts that arise when enough value is placed on social media, causing the viewer to reflect on their own relationships with social media, their phones, and in what ways social media subtly affects them. Hated in the Nation is an episode set in contemporary society, which focuses on a police detective working to solve a mysterious string of murders. 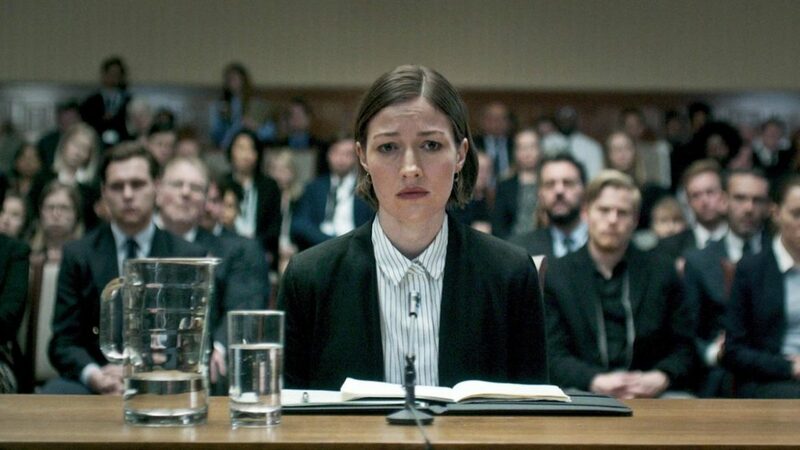 While this plot appears to be cliché, there is a twist that makes it unique; each murder is decided through the use of a voting system that is available for the public to participate in using social media, allowing everyone in the world to act as a ‘judge’, voting on who they believe deserves to be executed. Hated in the Nation uses this intriguing concept to simulate how online relations may potentially cause users to view others objectively, in an oversimplified manner. This premise plays on the ideology that the panoptic atmosphere social media creates produces an omnipresent barrier that divides its users into judge and judged, and the philosophical and moral connotations that arise with generalized categorizations. Playtest is about an American backpacker who agrees to be a subject in the testing of a new form of virtual reality as a side job in order to make money. Playtest confronts the moral issues that are very capable of occurring with the upcoming development of the virtual reality market, and provides an entertaining scenario where these issues are taken to the extreme. Black Mirror is an enthralling, conceived as a modern-day Twilight Zone, and is still in production. Season 4 has recently been released, which has provided the series with another 6 episodes. 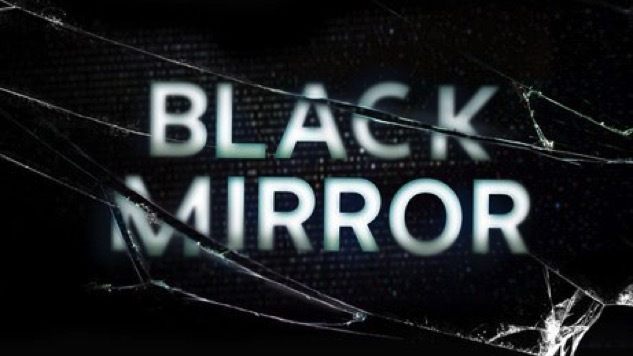 Black Mirror seasons 1 & 2 are available for checkout here at Media Services, and the entire series is available on Netflix; feel free to stop by and catch up on all that you’ve missed!